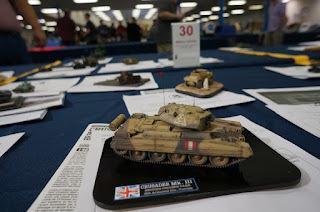 For a couple of years Justin McCoy has suggest that I attend an IPMS event. Out of the blue I connected with Bryant Dunbar, from Grex, and he put a plug in for the Richmond even since he'd be there. 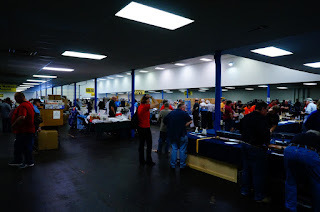 So this past weekend, my wife and I drove down from DC to Richmond to see what all the fuss was about. 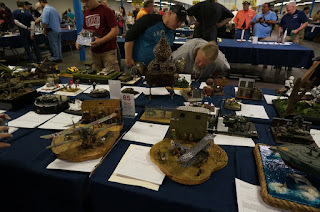 I brought down a few models to enter into the competition. 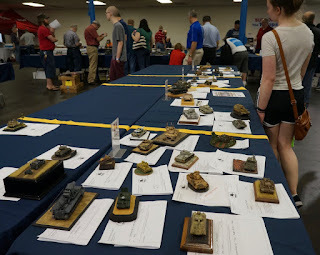 First off, the event was huge. 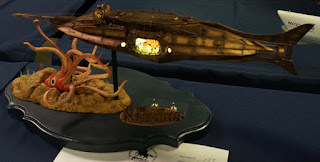 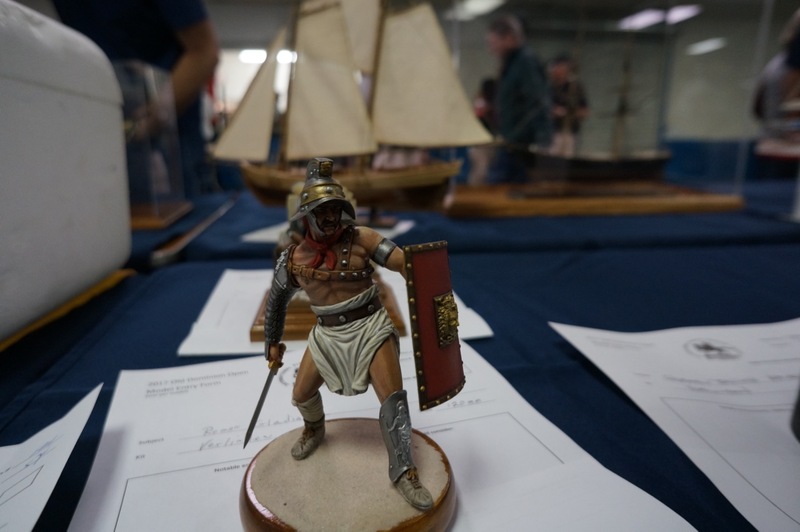 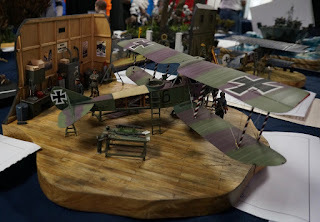 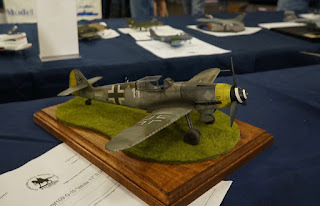 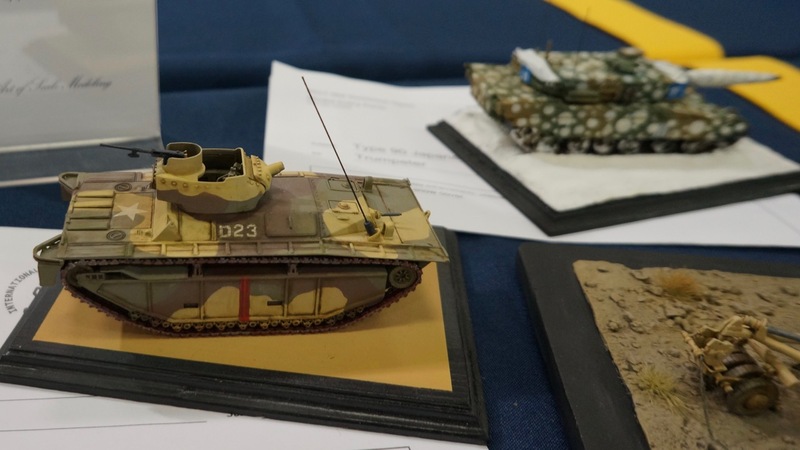 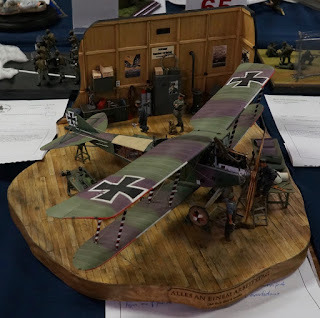 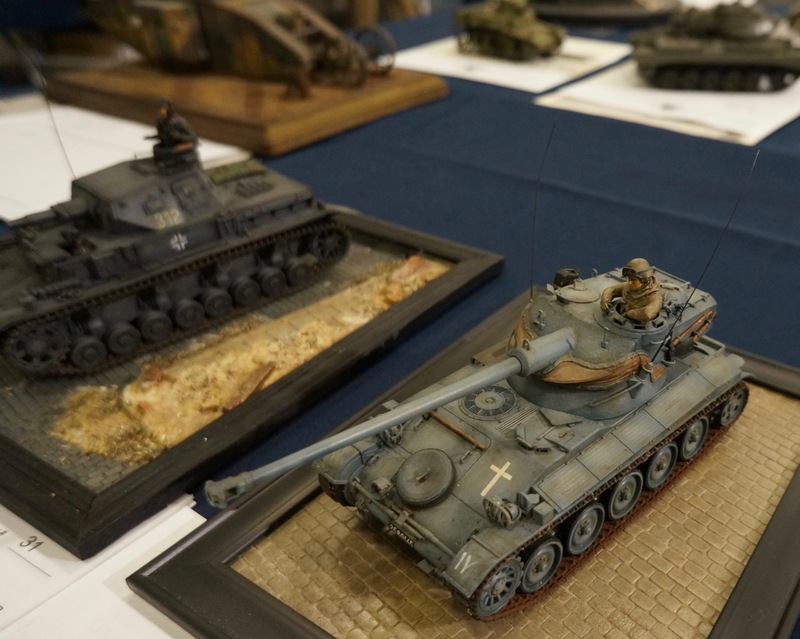 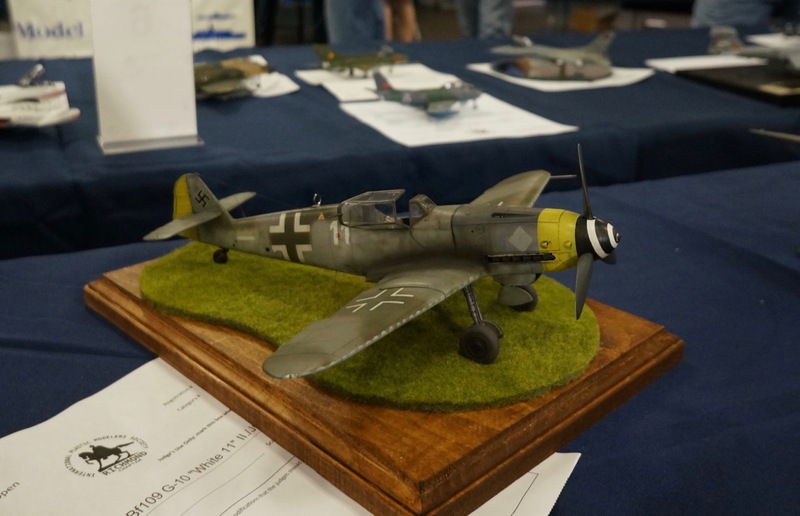 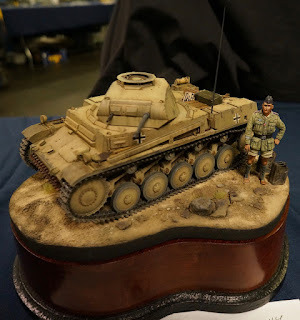 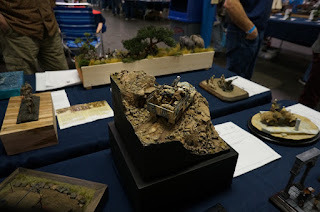 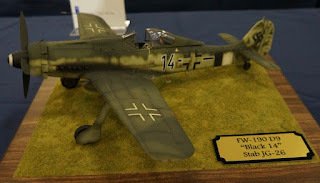 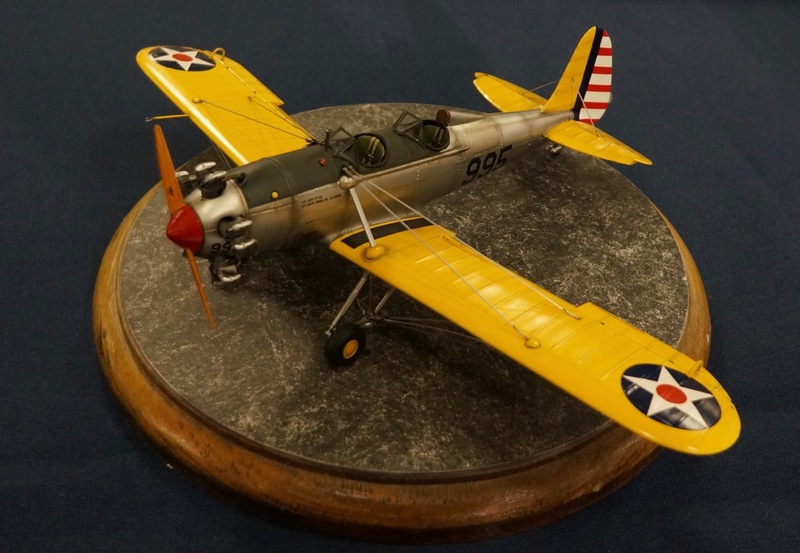 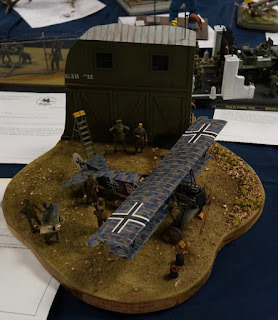 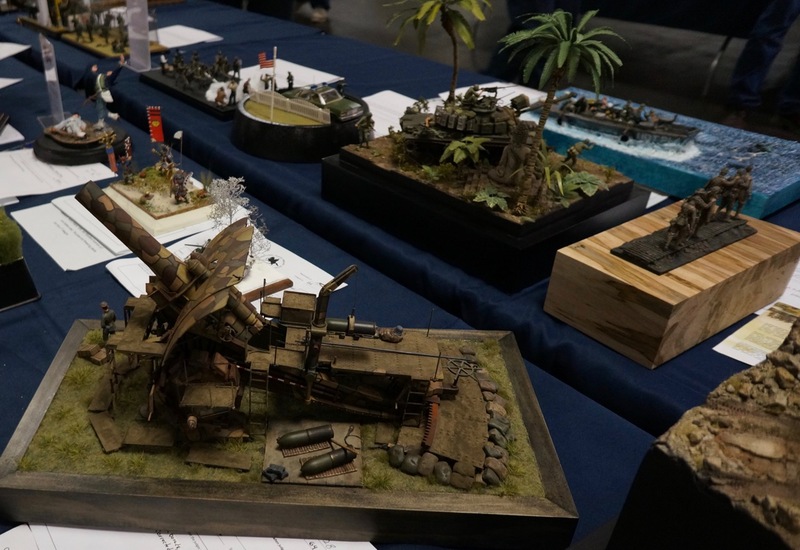 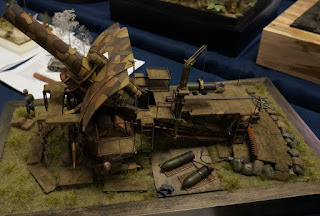 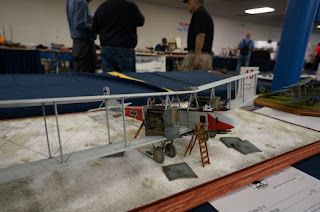 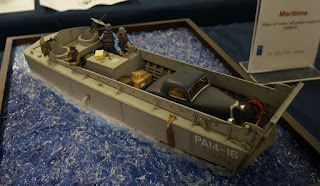 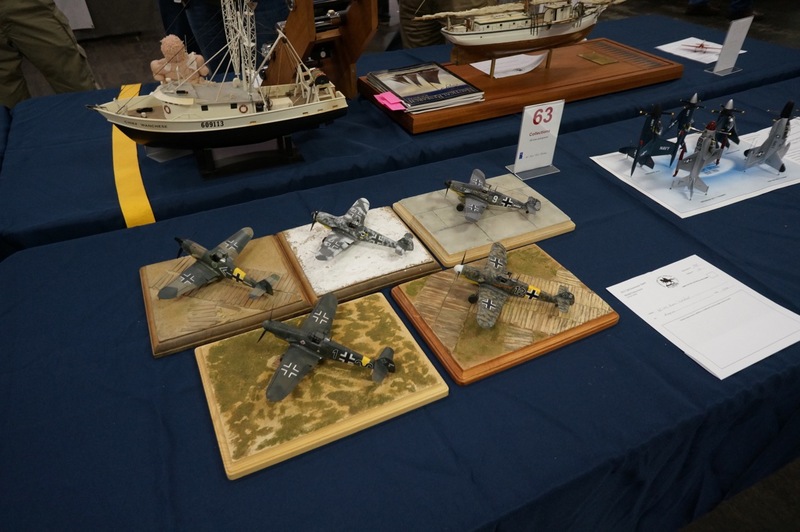 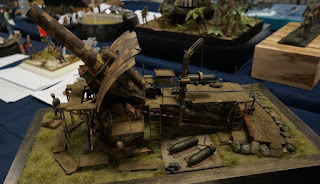 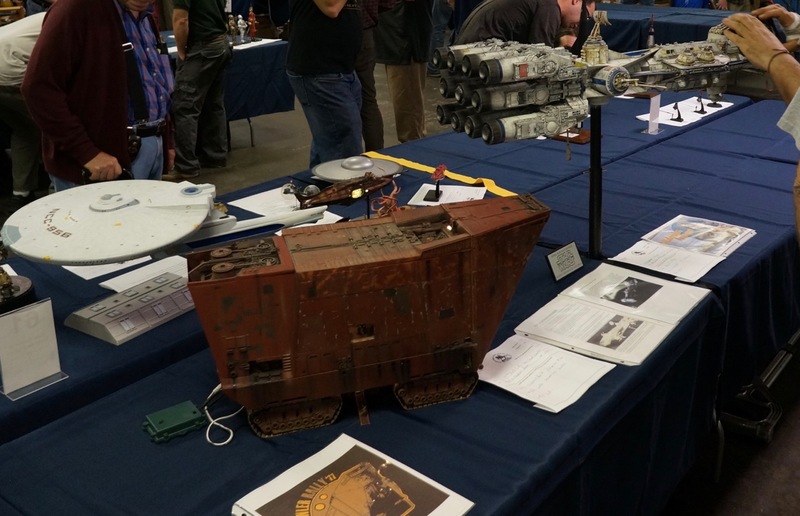 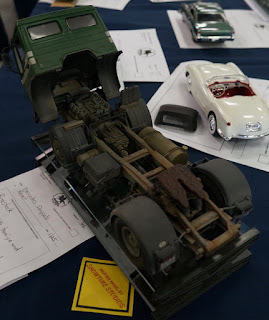 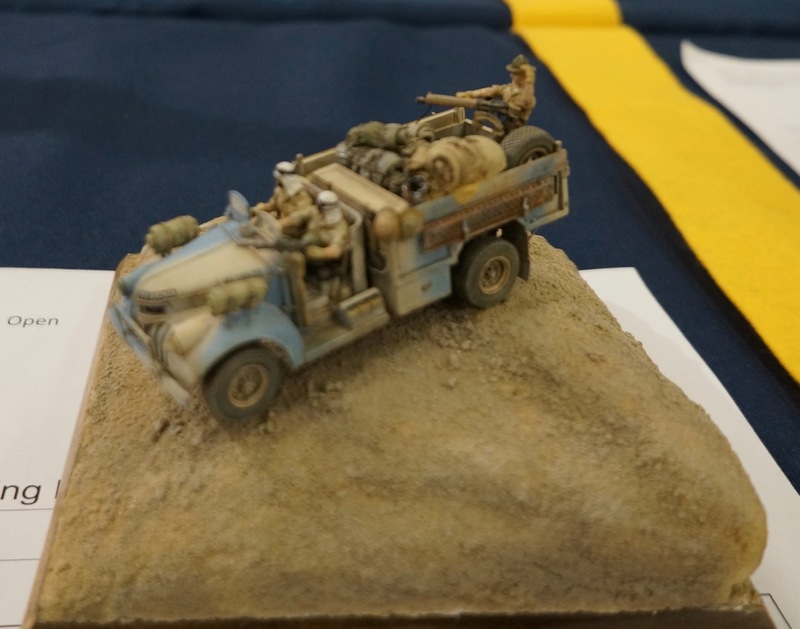 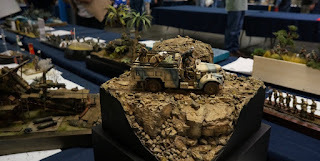 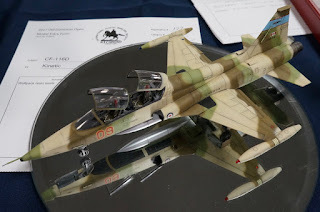 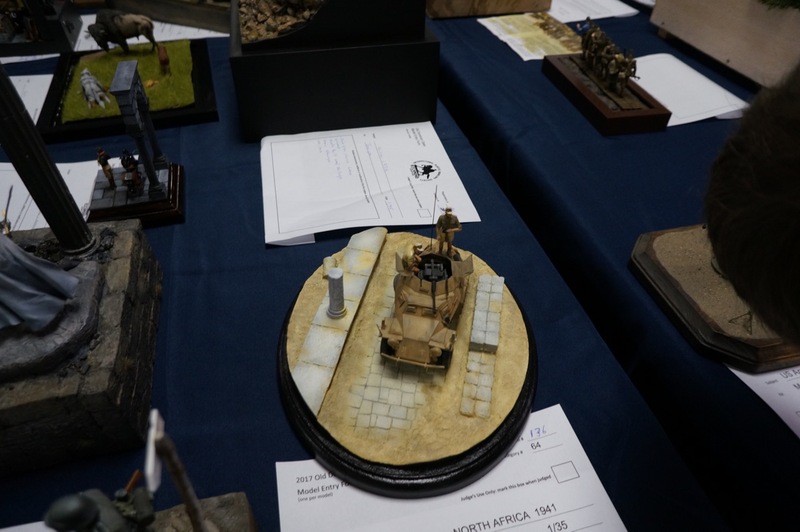 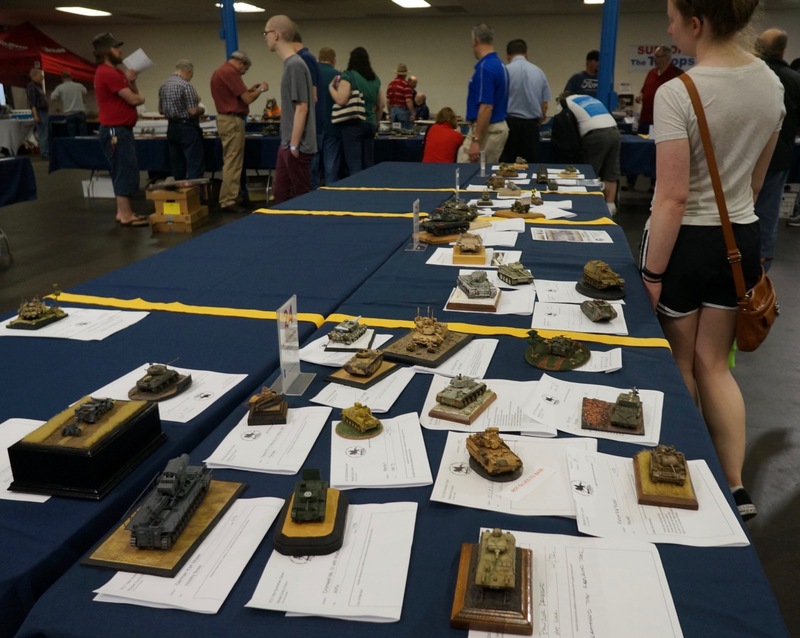 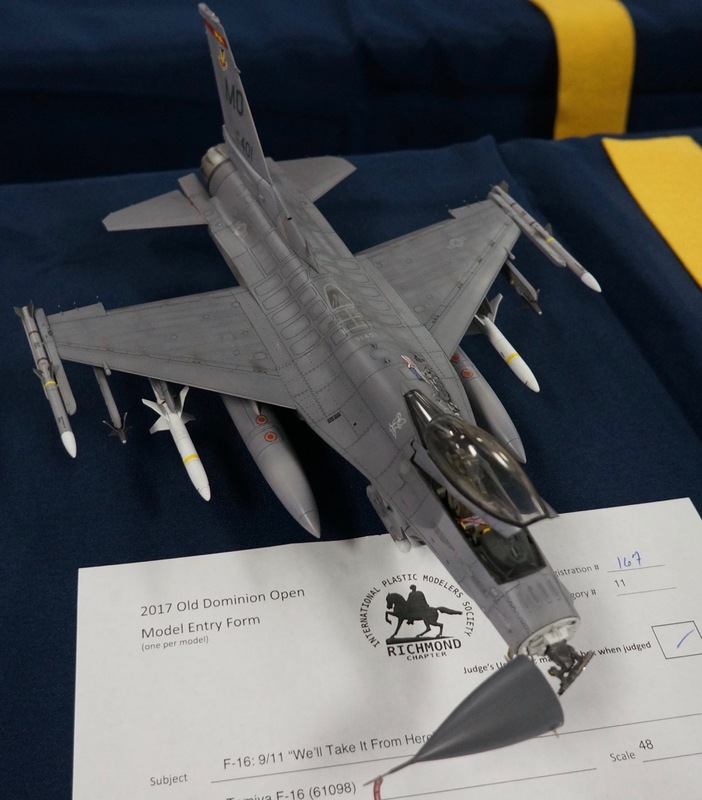 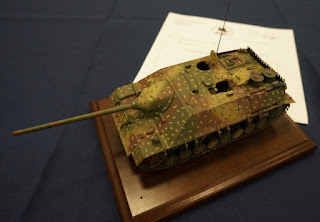 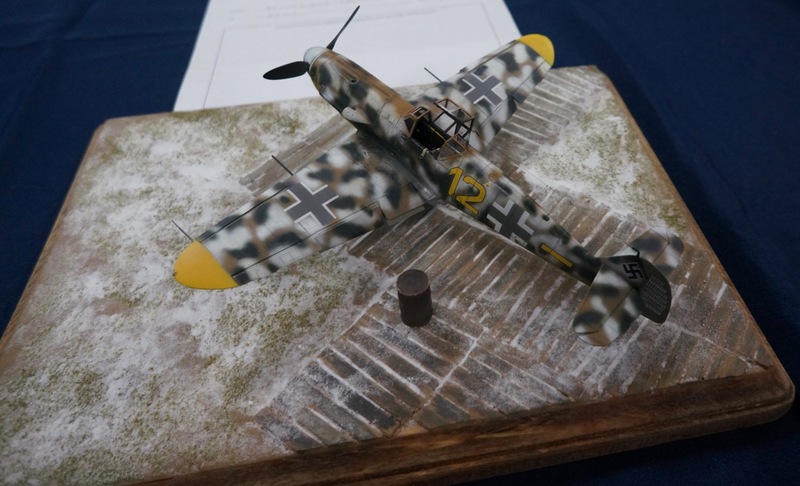 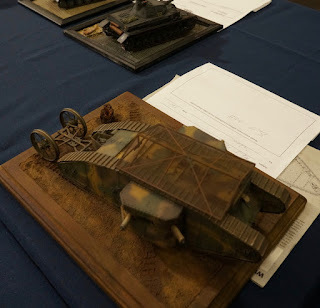 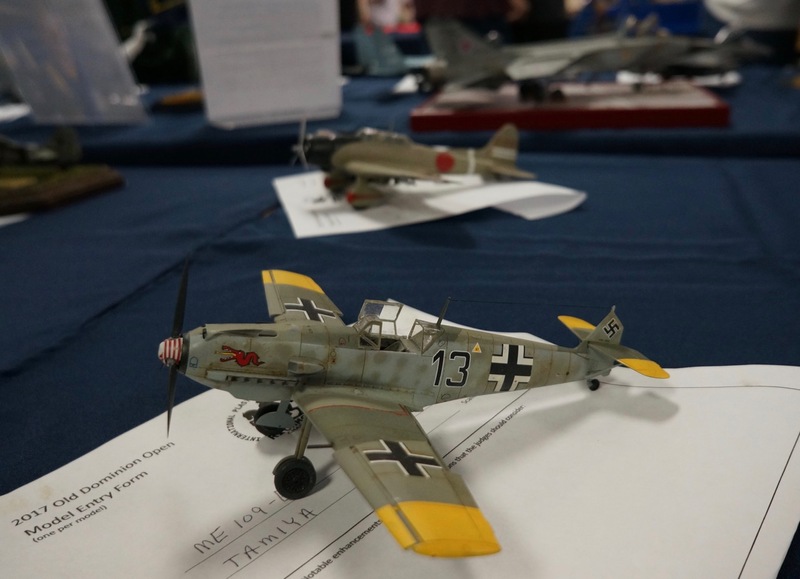 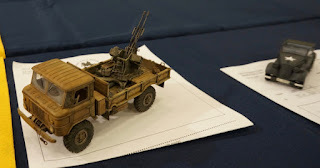 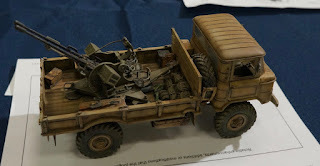 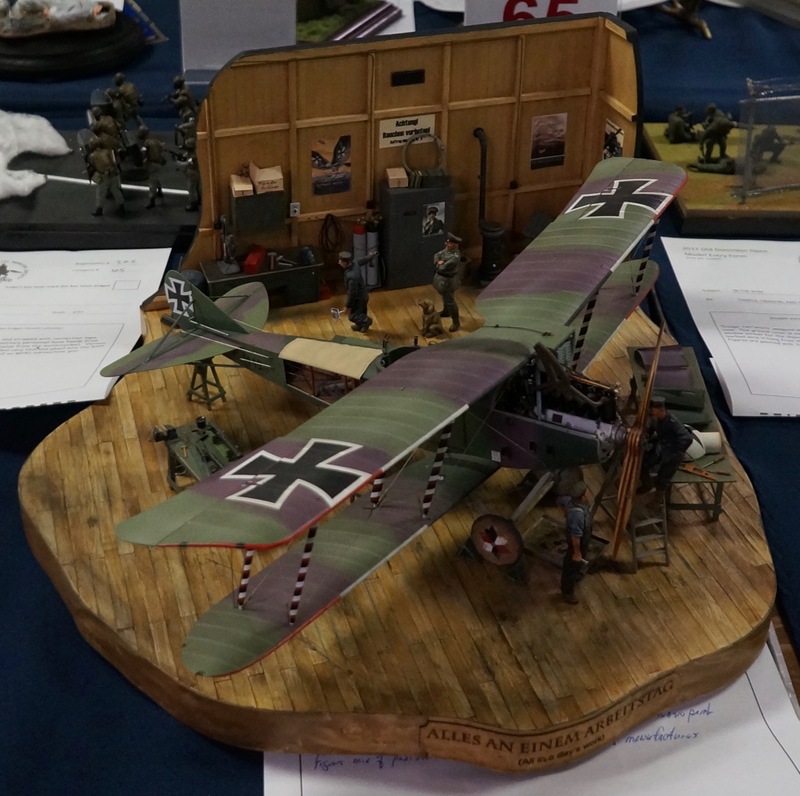 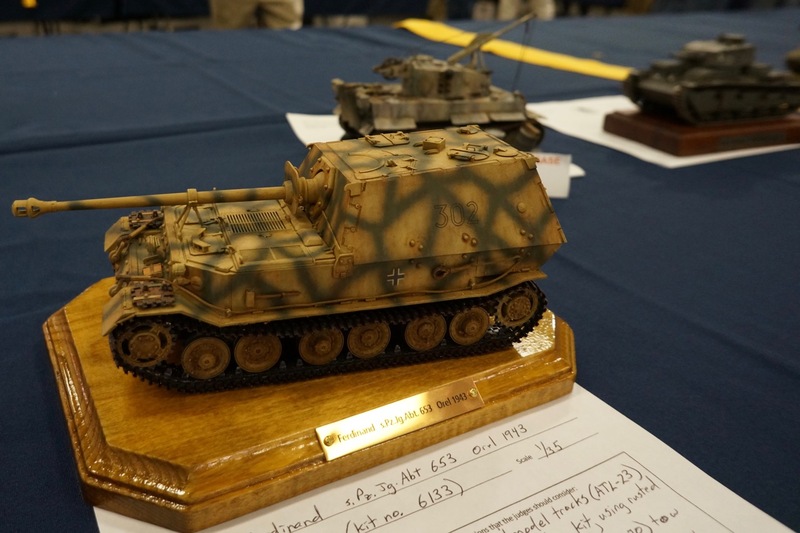 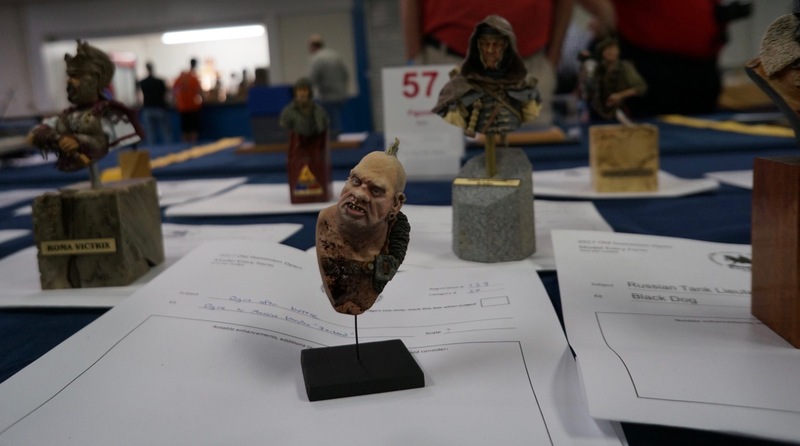 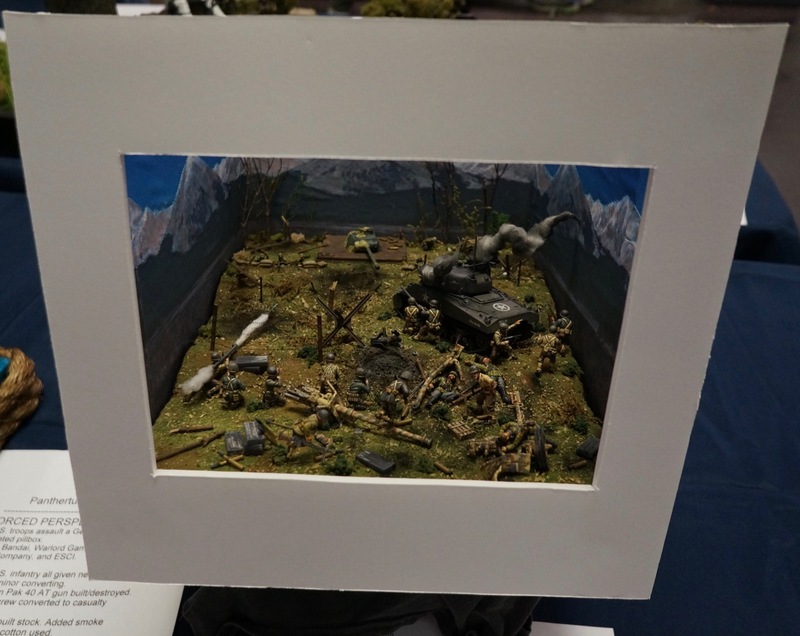 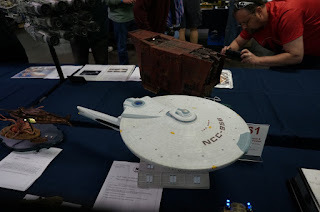 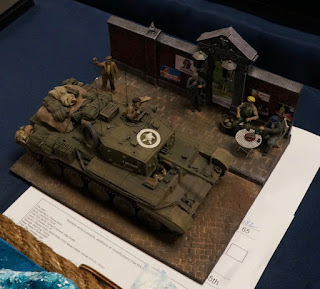 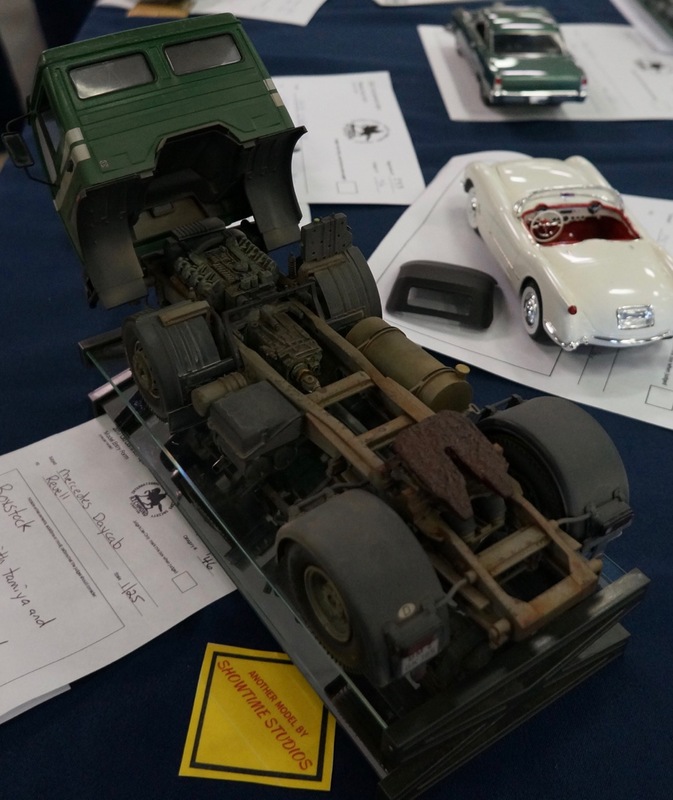 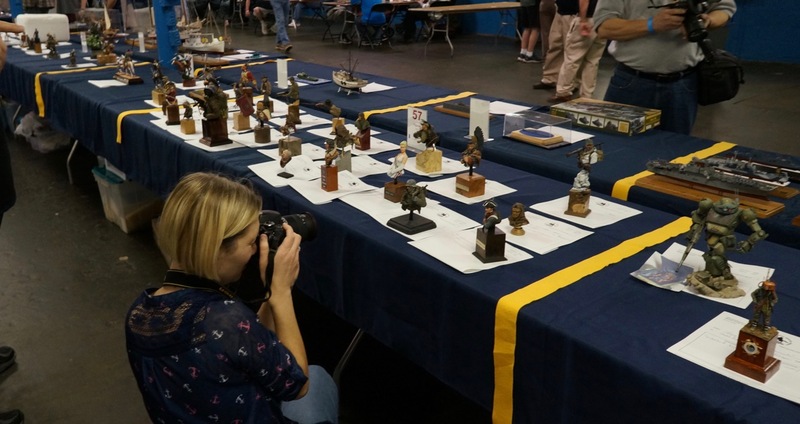 There were around 500 models in competition, with table after table of entries to look at. 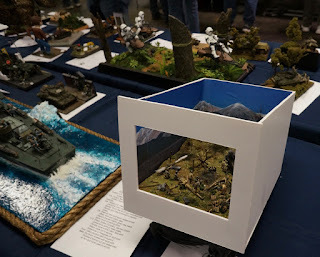 Visually, it was a lot to take in. 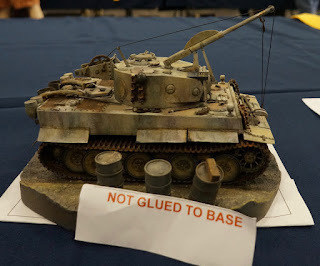 It was also a bit confusing. 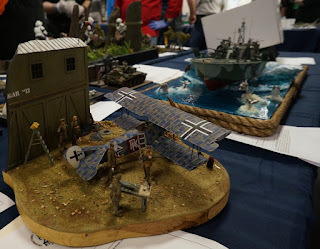 IPMS has lots and lots of rules. 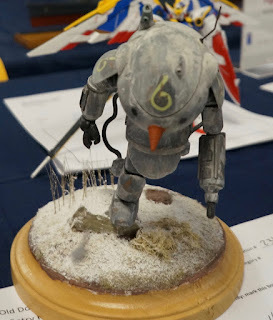 Despite that, I took home two first place awards, a second place award, and a third place award. I think I may have made a few folks jealous, when they found out it was my first event. 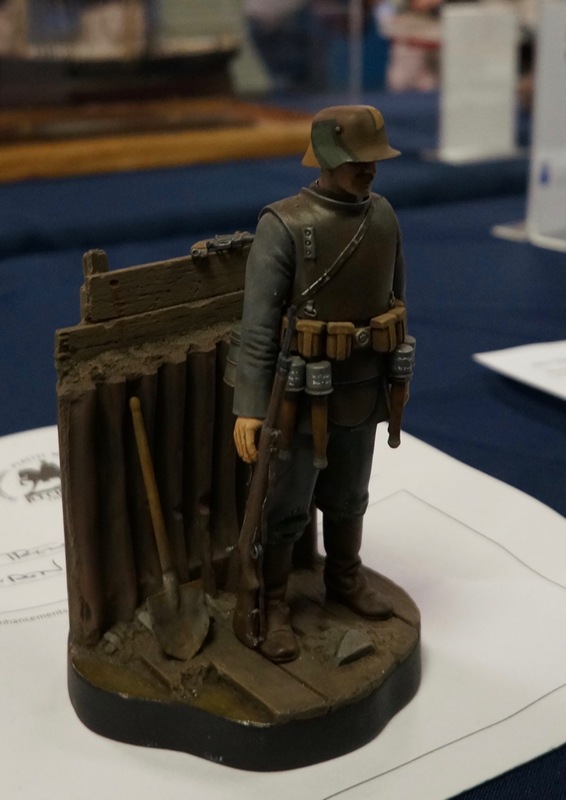 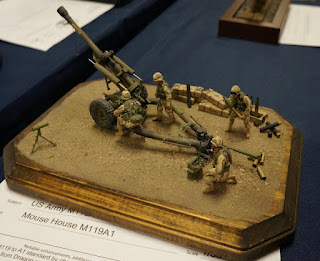 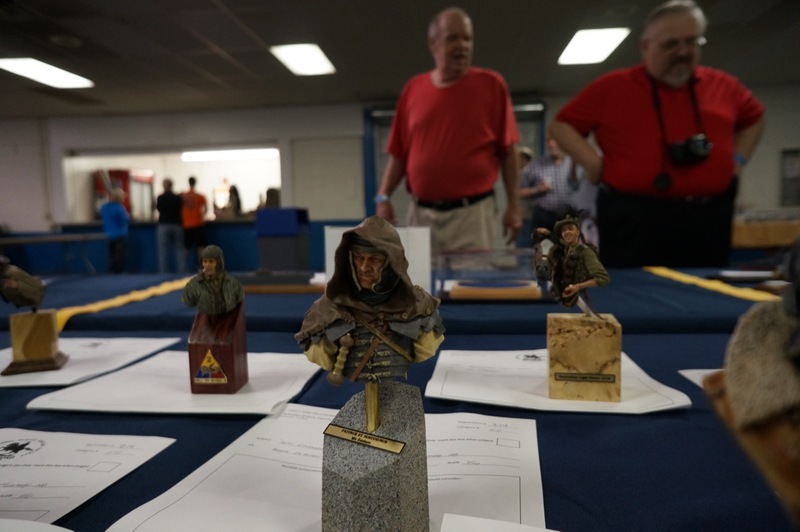 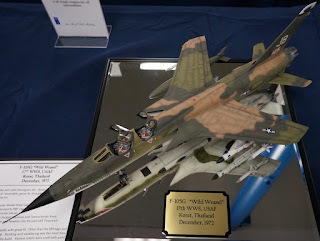 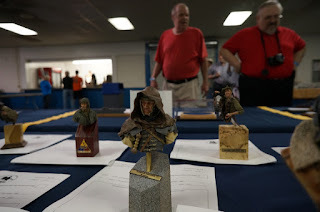 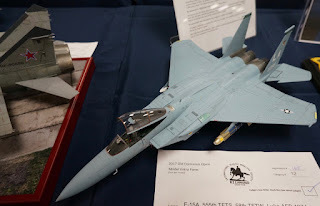 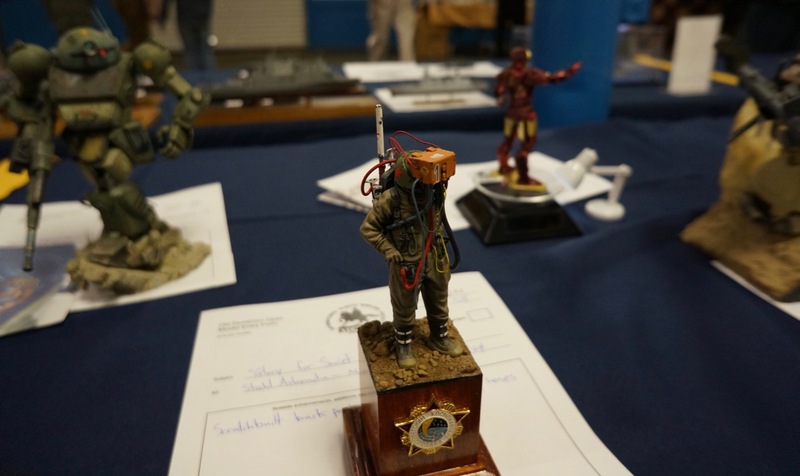 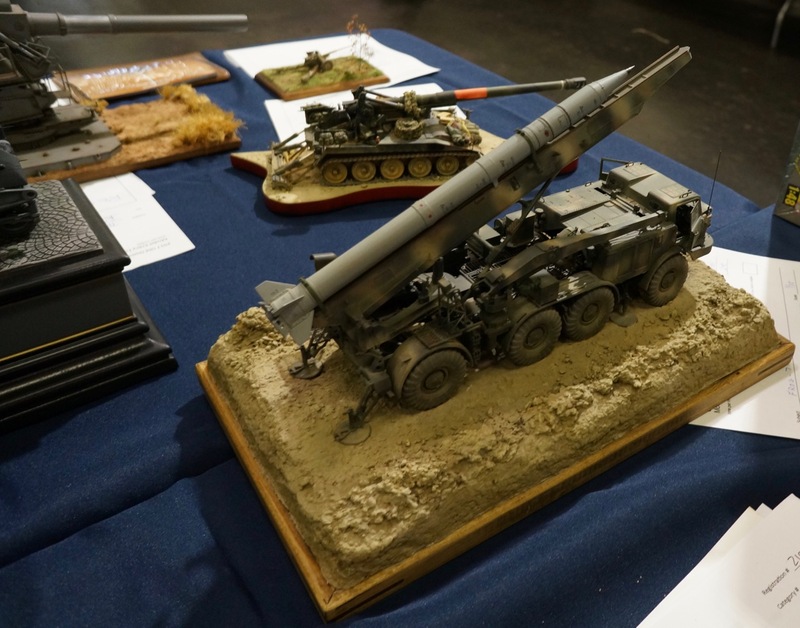 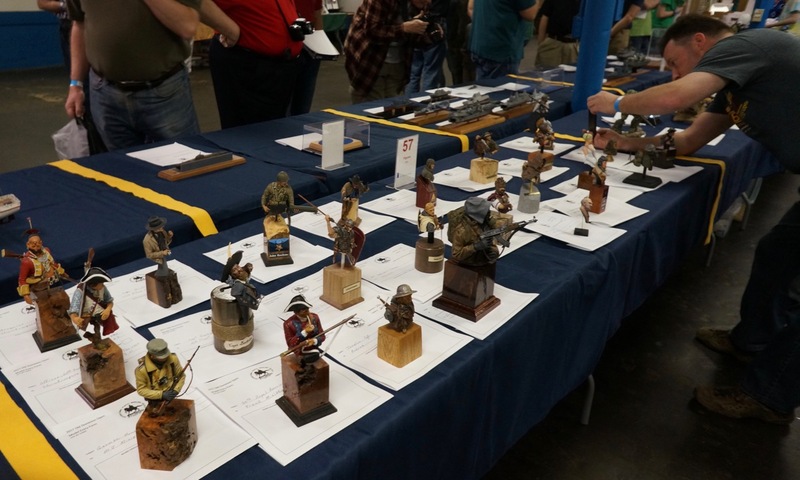 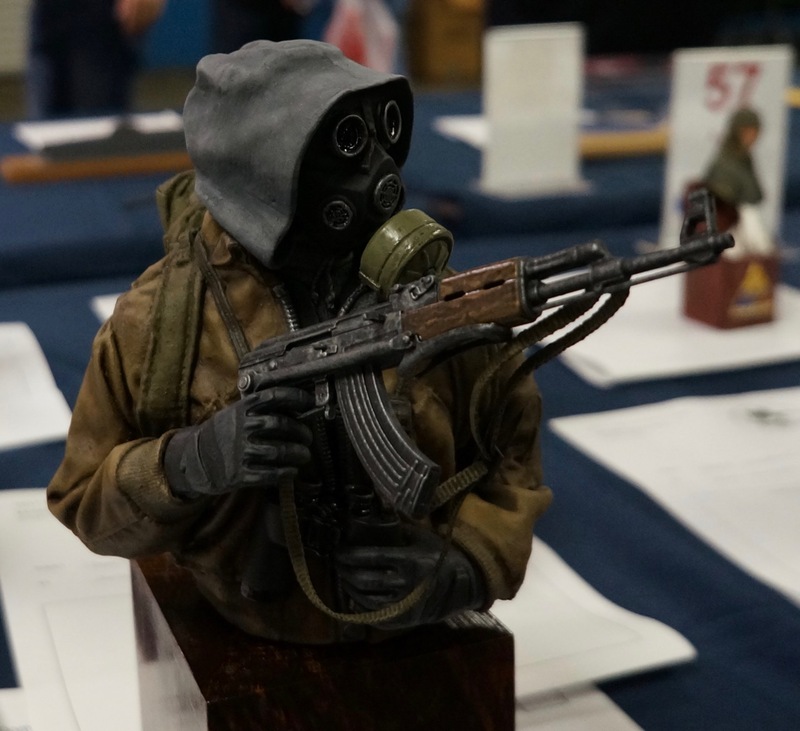 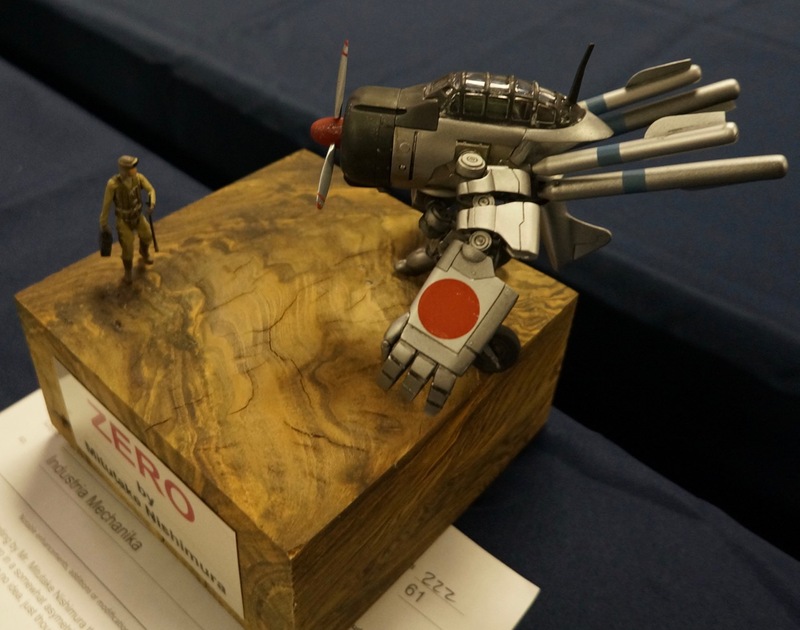 I dutifully explained that I have been painting for more than a decade, and that I was really honored to receive awards by the military modeling folks. 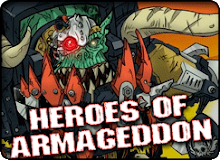 3rd place: Medusa by Forgeworld. 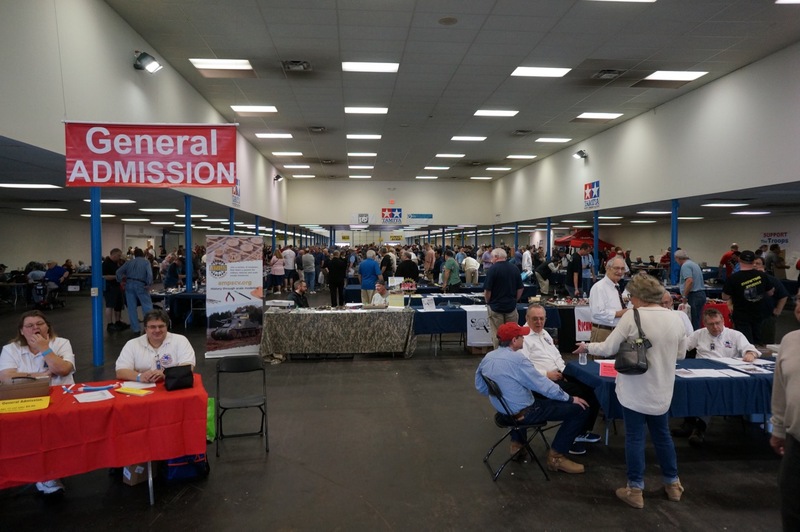 One of the coolest things about the event was the massive vendor area. 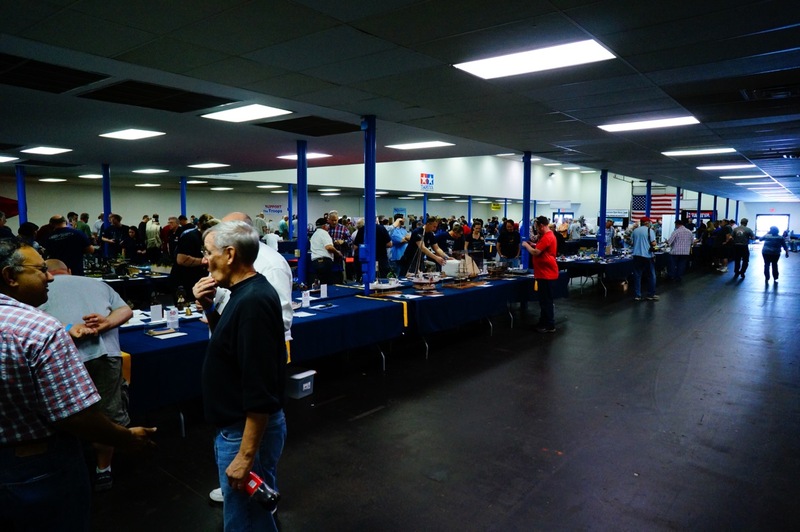 If you've ever wondered what all the cook aftermarket kits are like, or where you can by mig products in person, this is the kind of event to attend. 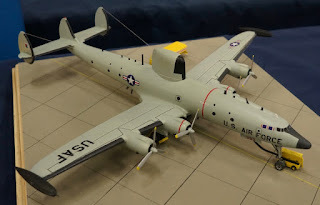 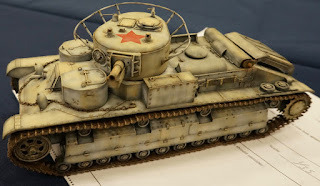 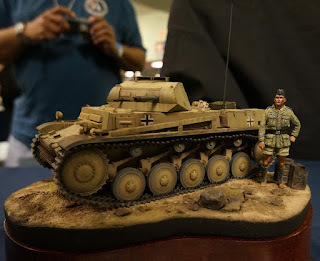 I managed to pick up 5 1/35 scale military scale model kits for around fifty dollars. That is a steal! Well done you. Some lovely models there. 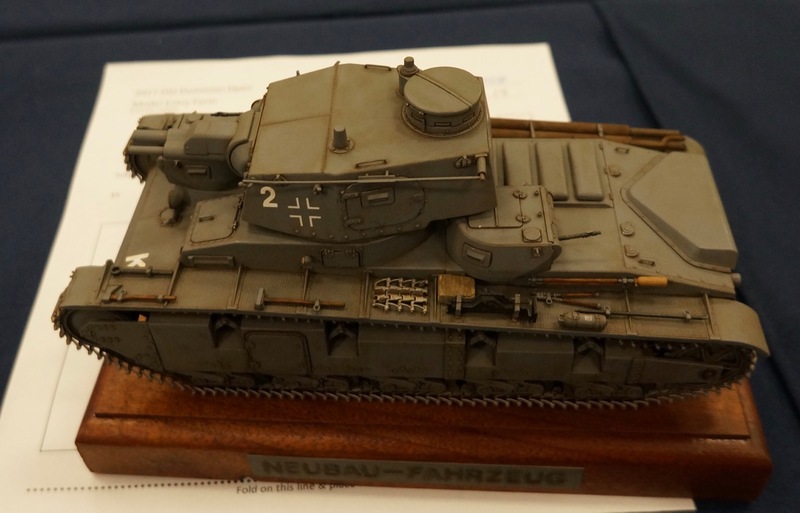 Loved the Panzer IIIc and the T28. 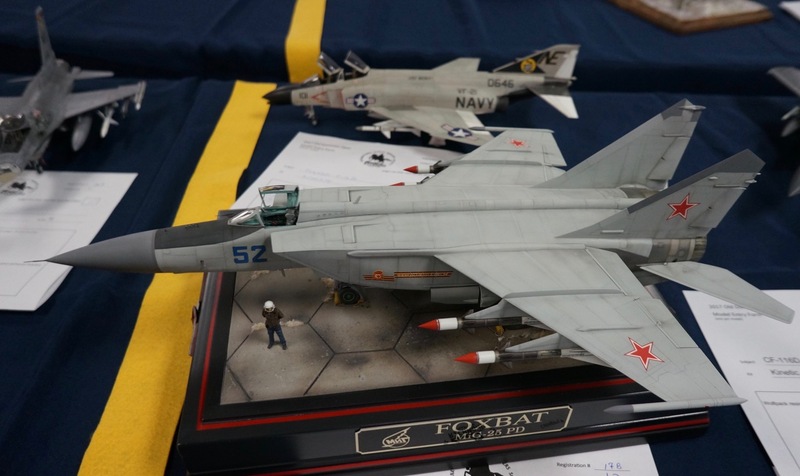 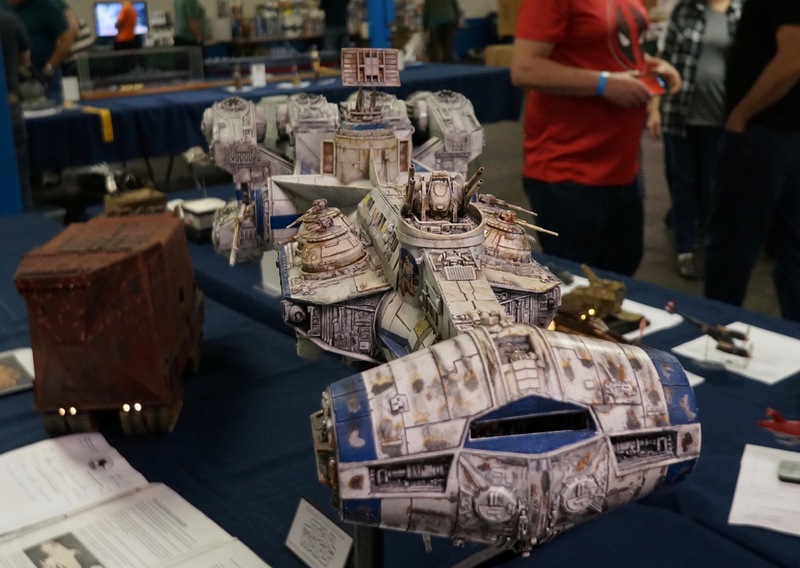 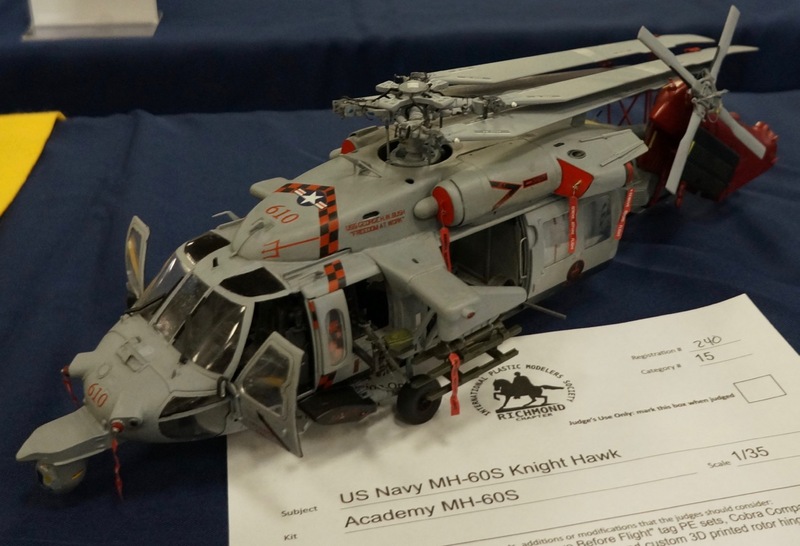 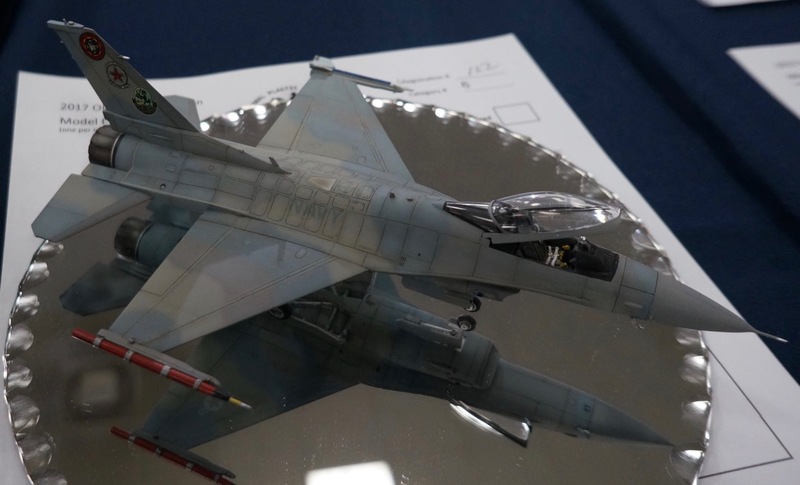 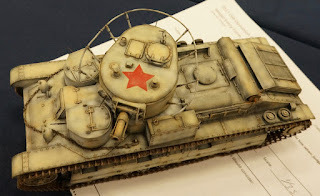 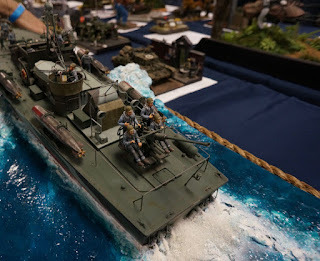 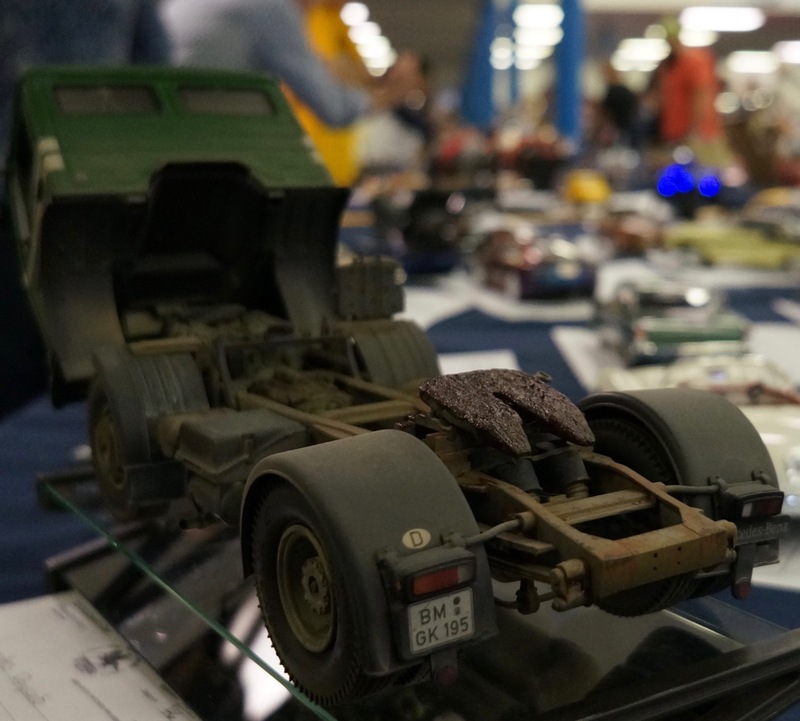 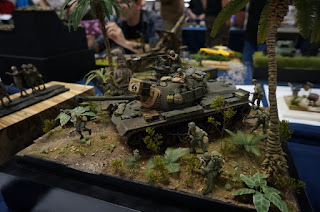 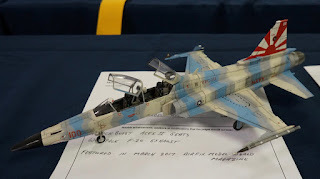 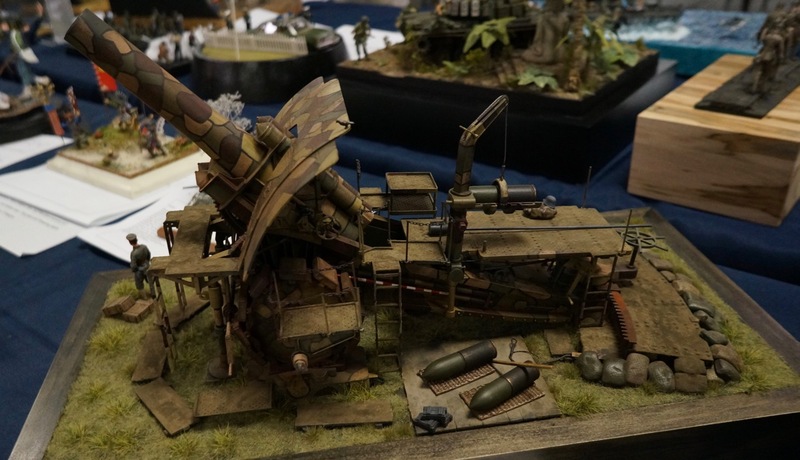 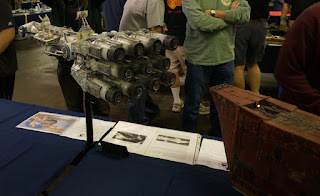 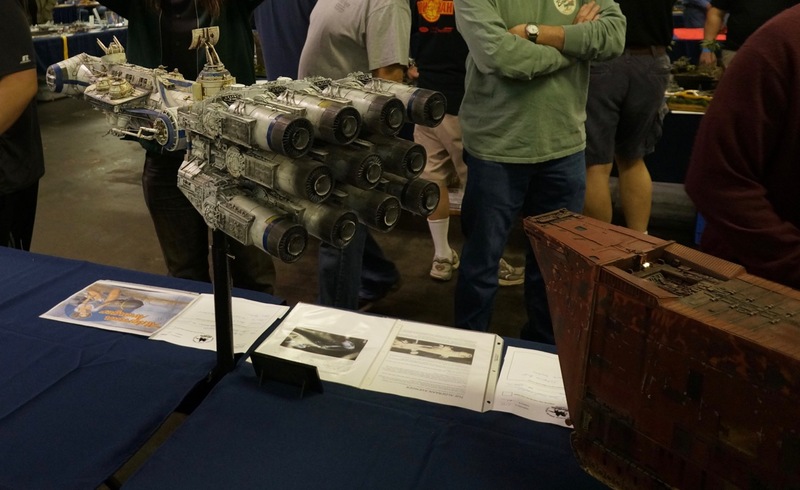 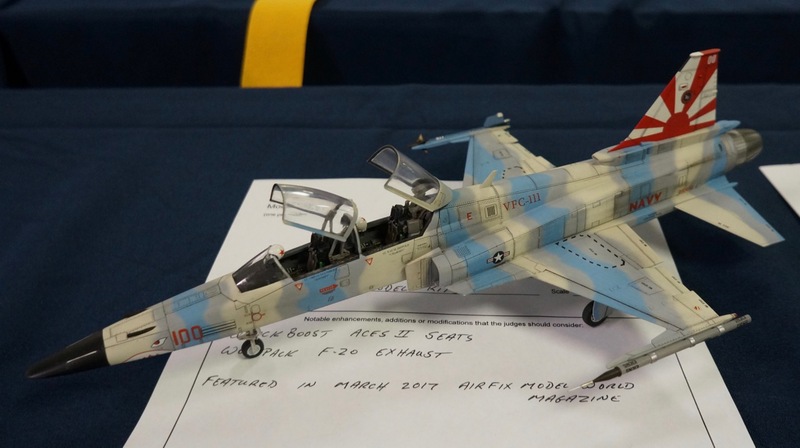 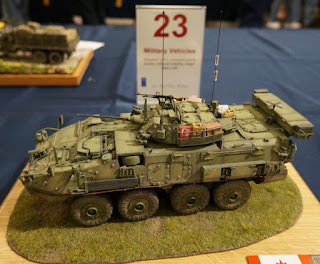 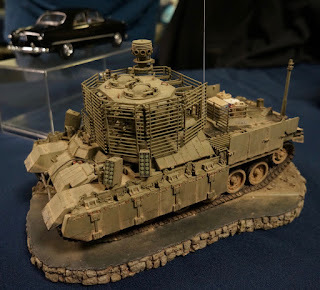 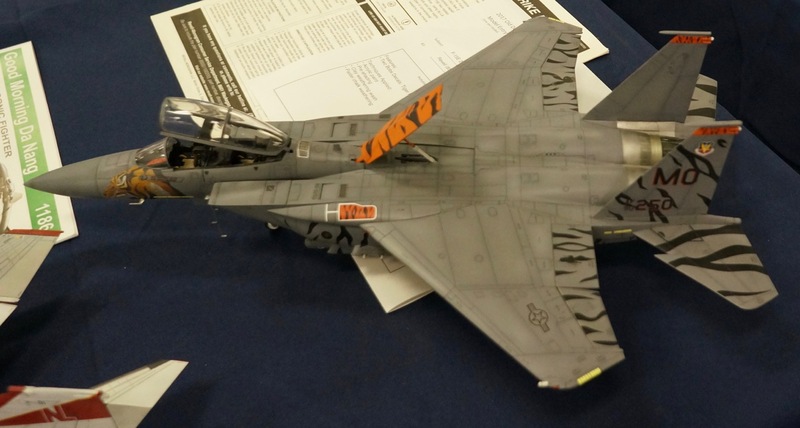 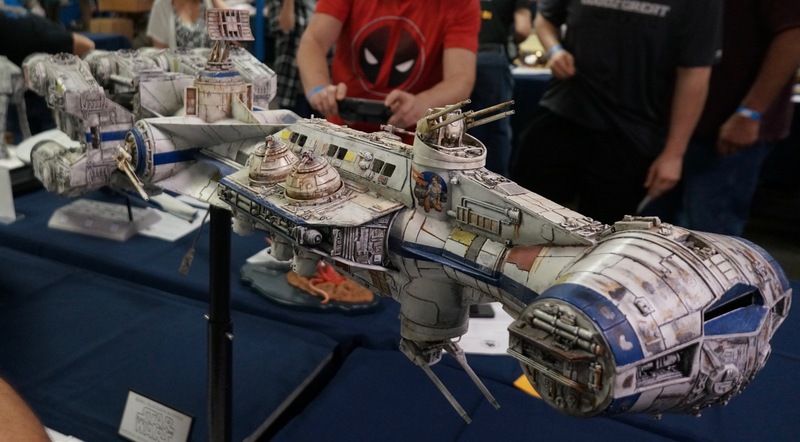 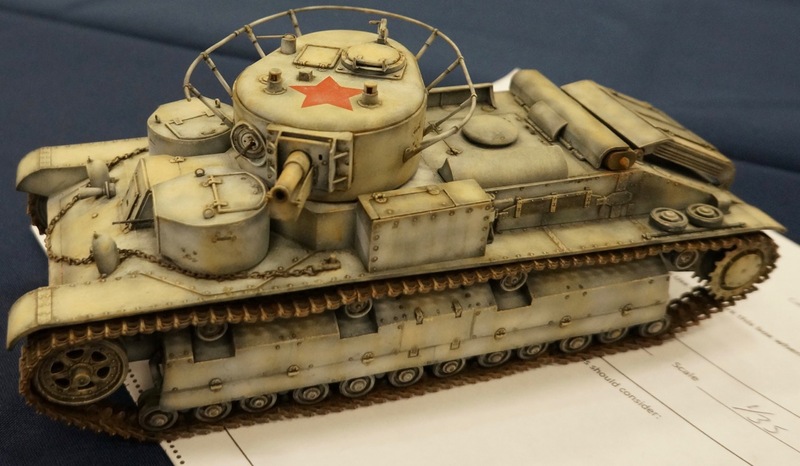 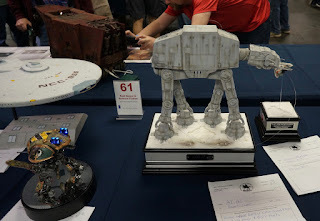 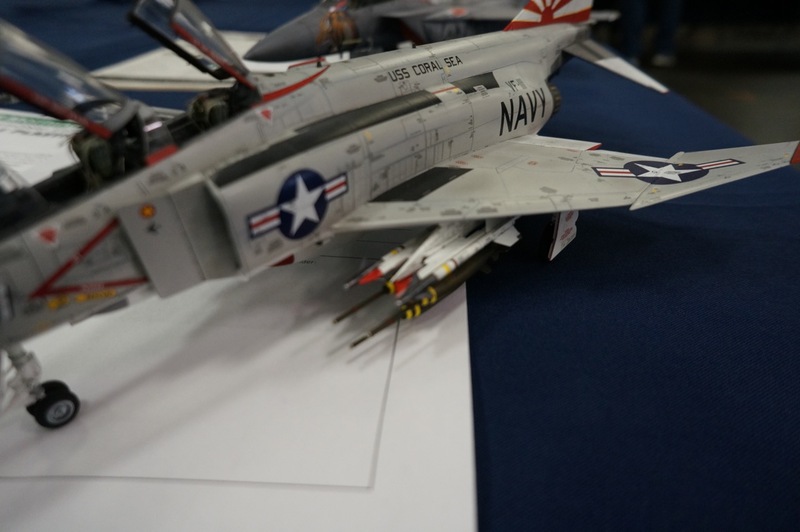 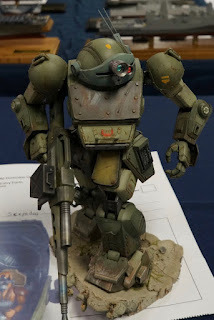 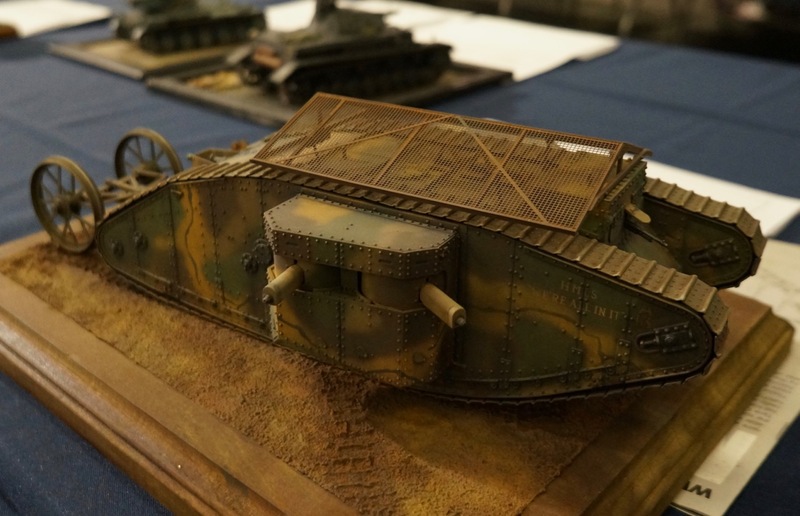 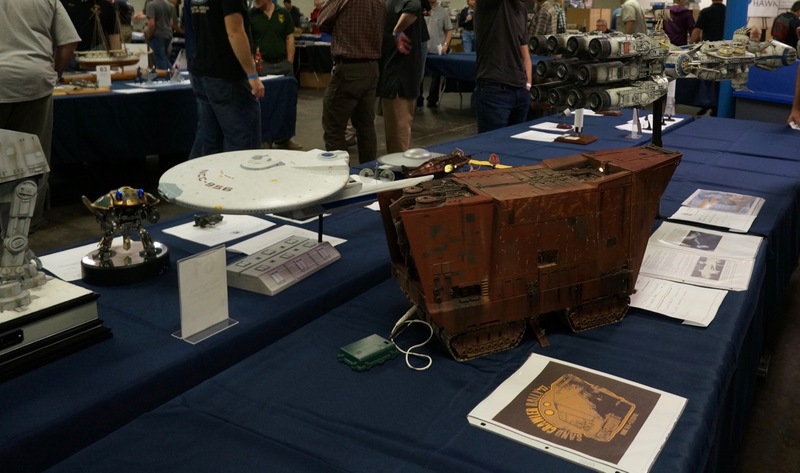 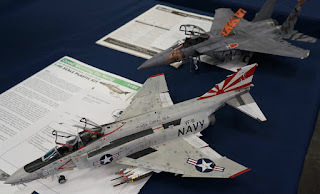 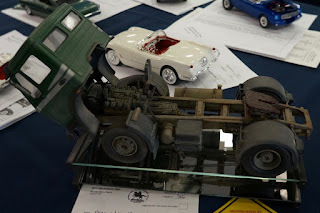 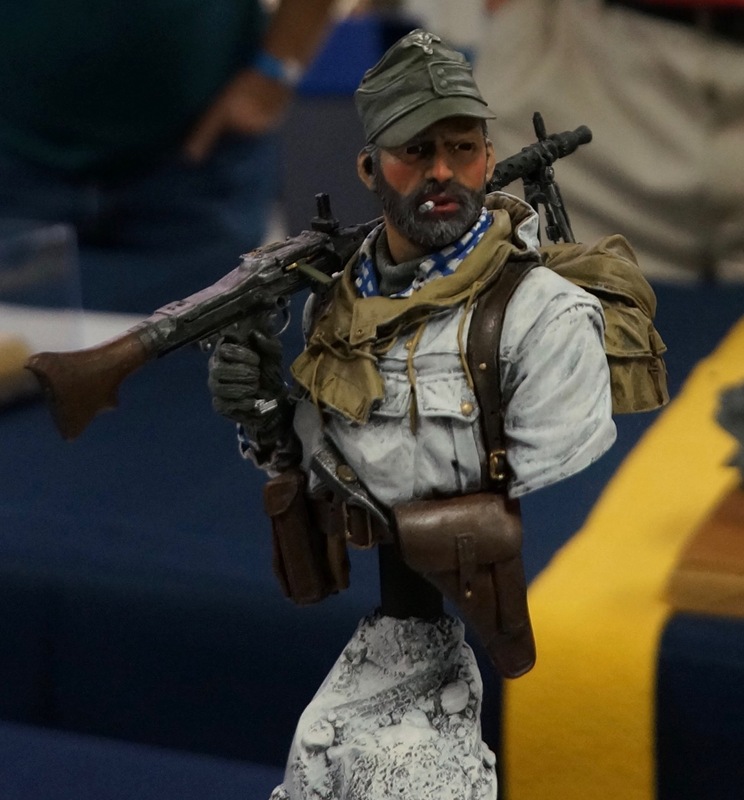 Nice ... awesome photo dump.. Looks like there are some awesome models in attendance! 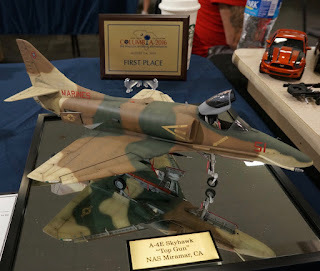 Congrats again man.. that's pretty awesome to pull out four wins there. 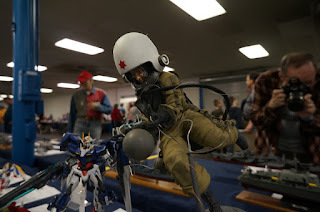 I know their comps are no joke and they are really picky. There's a show on April 29th hosted by the IPMS NoVA at Fairfax High School called the Model Classic, you should check it out. 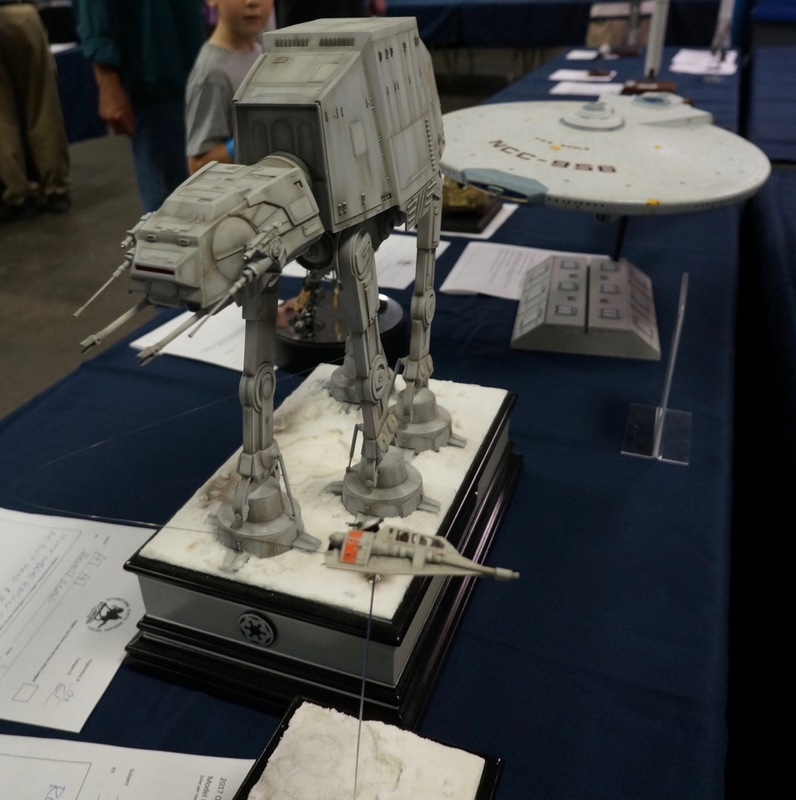 From what I understand, the competition is a little stiffer in NoVA than it is in Richmond. 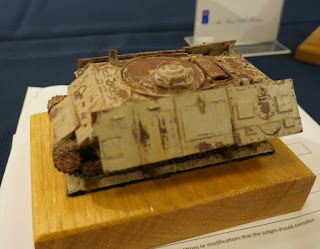 I think I am all out of entires at this point. 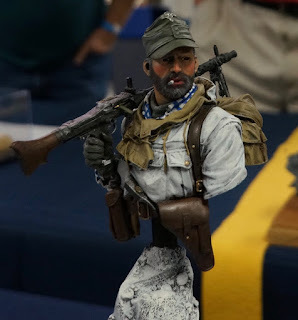 I'll have to paint some new stuff up. OMFG such awesome photos. 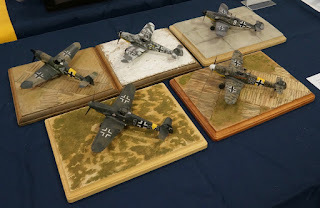 Thanks for taking them and sharing them John! I will have to try to attend this next year, just missed the window this year! 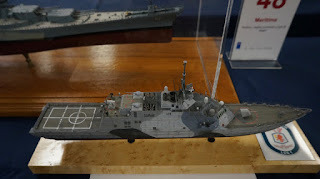 We should both go to IPMS NoVA and see how it compares! 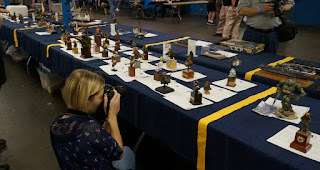 Well done, and thanks for the photos!